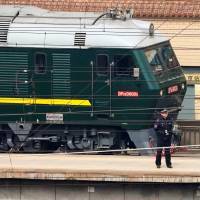 BEIJING/SEOUL - A train believed to be carrying a senior North Korean delegation left the Chinese capital on Tuesday following a dramatic whirlwind visit that some reports said included the country’s leader, Kim Jong Un. 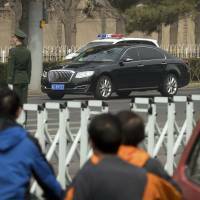 South Korea said it was closely watching events in Beijing, where a Foreign Ministry spokeswoman deflected a question on whether Kim, his sister or some other senior North Korean was visiting. “At present I have no understanding of the situation you mention. If there is news we will release it,” Foreign Ministry spokeswoman Hua Chunying told a regular daily briefing. Diplomatic sources in Beijing said a senior North Korean official was in town, but did not know exactly who. 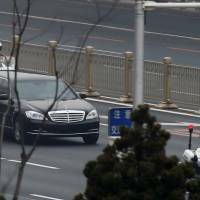 Bloomberg News, citing three unidentified sources, reported late Monday that Kim was in Beijing in what would be his first known trip outside North Korea since taking power in 2011. The unconfirmed visit comes ahead of planned summit meetings with South Korean President Moon Jae-in and U.S. President Donald Trump. Improving ties between North Korea, which is pursuing nuclear and missile programs in defiance of U.N. Security Council resolutions, and China would be a positive sign before the planned summits, he said. 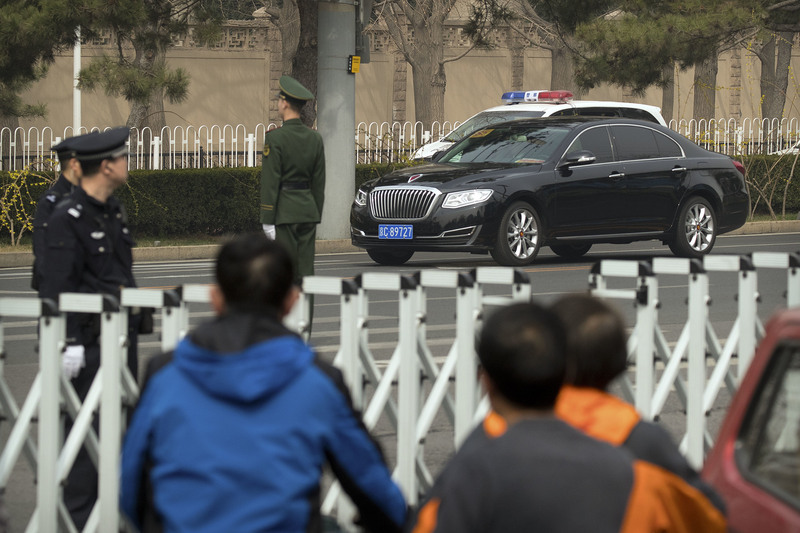 A convoy was also seen leaving Beijing’s Diaoyutai State Guesthouse, where senior foreign leaders often stay, and drive north Tuesday morning. It was unclear where the convoy was headed. 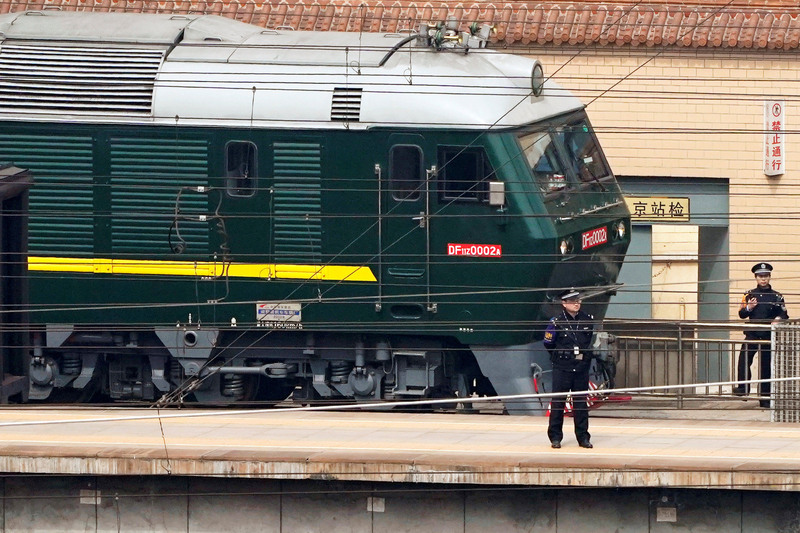 Later, what was believed to be the delegation’s train was seen pulling out of a Beijing station. The group was reported to have arrived in China on Sunday after crossing from North Korea in the border city of Dandong. 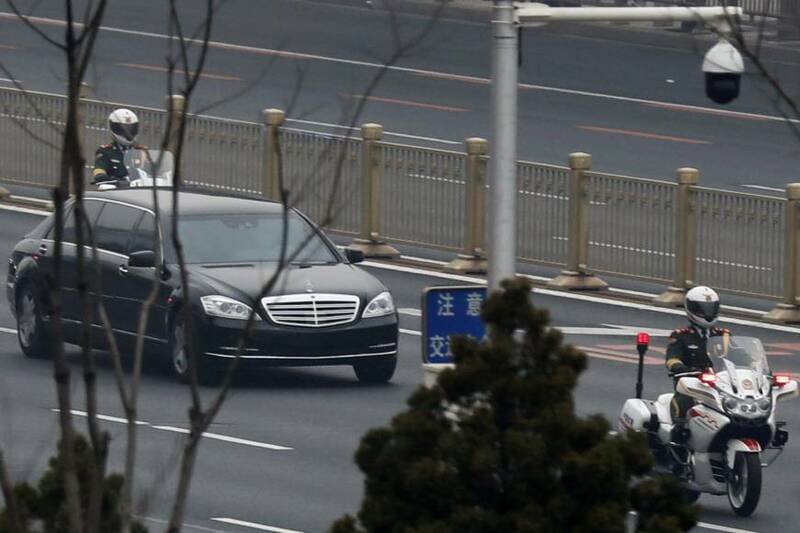 One source with ties to China’s leadership said it was possible Kim’s younger sister, Kim Yo Jong, was in town. She visited South Korea for the Winter Olympics last month, paving the way for a summit between the two Koreas. South Korean news agency Newsis reported that Kim Yo Jong and the North’s ceremonial leader, Kim Yong Nam, were visiting Beijing, citing an unidentified North Korea-related source in Beijing. The pair visited Moon at his office in Seoul during the Winter Olympics in February. On the contrary, the official said, a summit with Xi would underscore Kim’s standing as a world leader. Xi and Kim Jong Un both have reasons to meet in advance of Kim’s meetings with Moon and possibly Trump, the U.S. official said. “Xi has met Trump, and in many respects learned how to deal with him better than some people here do,” the official said. Jacques deLisle, who teaches Chinese law and politics at the University of Pennsylvania Law School, said in an interview that Beijing may be trying to feel Kim out. “Presumably, part of what’s on the agenda is the Chinese want a sense of what Kim expects or is seeking in the meeting with the U.S., if it ever occurs, as well as their attempt, of course, to influence it,” deLisle said. Ties between China and North Korea, who fought together against South Korean and UN forces during the Korean War, have been strained as China backed sanctions crimping the country’s energy imports and sources of foreign cash. While China opposes North Korea’s nuclear weapons, it also doesn’t want to see Kim’s regime collapse or war break out on the Korean Peninsula. Any instability could lead to a refugee crisis or potentially U.S. troops on its border. China has not confirmed any visit by a North Korean but has not totally censored speculation Kim Jong Un might have been in town. Searches on Baidu News, China’s equivalent of Google News, brought up two stories in the simplified Chinese edition of Taiwanese newspaper the China Times that reported, citing what it said were internet rumors, that he was on a secret visit to Beijing. One of the paper’s reports showed pictures taken from Chinese social media of what was purportedly Kim Jong Un’s train in China. There were also posts on Chinese social media talking about the possibility Kim Jong Un was in China, some citing family members in Dandong. The rail journey between Dandong and Beijing covers more than 1,100 km (680 miles). It takes at least 14 hours by ordinary service, according to Chinese railway timetables. Kim Jong Un’s father, Kim Jong Il, met then-president Jiang Zemin in China in 2000 before a summit between the two Koreas in June that year. “If North Korea speaks with the United States on its own, it might feel it is at a disadvantage but, if it has China as an ally, Pyongyang may think it will be able to protect its interests and profits during the summits,” Yoo said.